Is the Government of the State of Israel Working to Strengthen the Jewish Diaspora or to Decimate it? In February, 2015, Israeli Prime Minister, Binyamin Netanyahu, called for the mass emigration of French Jews, and their assets, to Israel. This was rejected outright by both Jewish and non-Jewish European leaders as a politically-motivated speech designed to bolster his personal rating with his electorate at home. The French Prime Minister, Manuel Valls, regretted Netanyahu’s call, noting that the Israeli prime minister was “in the midst of a general election campaign”, whilst the President of France, François Hollande, insisted that no one should believe tha“Jews no longer have a place in Europe. Jews have their place in Europe and, in particular, in France,” he said. There was also considerable disquiet among British Jewry who saw in Netanyahu’s call to emigrate to Israel, a direct threat to Jewish life in the United Kingdom and a destabilising and dangerous election ploy. In fact, Netanyahu’s political career is close to its nadir as he awaits a police decision whether he should be prosecuted on charges of bribery and corruption. His wife has already been indicted for fraud. More importantly, however, is the Likud Party agenda for a Greater Israel, for which Netanyahu is, and has been for a decade or more, the chief protagonist. This agenda calls for the forced transfer of millions of indigenous Arabs to adjacent states and is the primary cause of increasing antisemitism in Europe and around the world, including on campuses throughout the United States. Of course, the more that antisemitism increases, the greater will be the fear of racial violence and the consequent decision by some Jews to abandon the countries of their birth in order to emigrate to the Middle East in the mistaken belief that they will be safer there than in Europe or America. This is, of course, nonsense as Israel is arguably the most dangerous place for anyone to live. But Likud propaganda is a potent force that misleads both Jews and non-Jews alike. It is expected the Netanyahu will very soon be replaced but the damage he has inflicted on both Israel itself and the Diaspora, has been considerable. 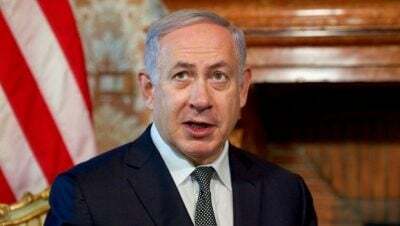 By his perverse and inflammatory attitude in encouraging further illegal settlements in the Occupied Palestinian Territories, he has put back the peace agenda by at least ten years. That there will eventually be an independent Palestinian state with the repatriation of all 600,000 illegal settlers back to Israel, is without any doubt but Netanyahu’s role in the killings and deaths on both sides, will not be forgotten. In the next days, as Prince William goes to bed in the King David Hotel in Jerusalem, he would do well to remember that it was Netanyahu’s party’s forerunner organisation, the Irgun Zvai Leumi (IZL) terrorists that carried out the bombing attack on the very Hotel in which he will now sleep, in 1946, with the killing of 91 people including many British military and civilian lives.